The most dazzling show of the season and perhaps 2018 altogether has finally arrived! 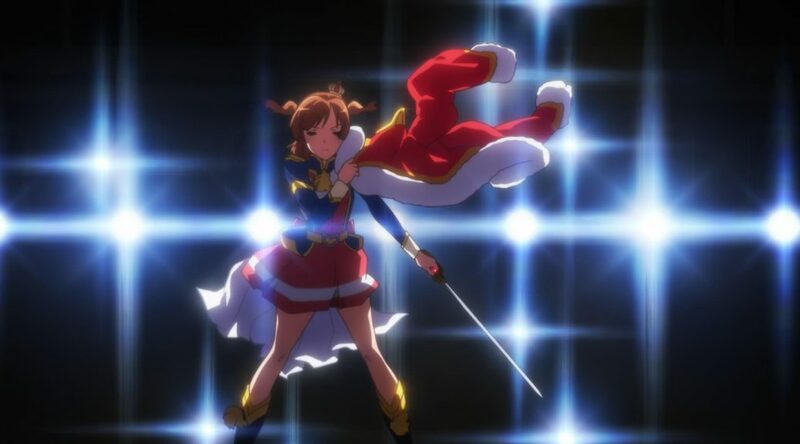 But where does all of Revue Starlight‘s theatrical goodness laced with a palpable Ikuhara touch come from, and exactly what’s so impressive about it? That’s what we’ll be here to address all season long! 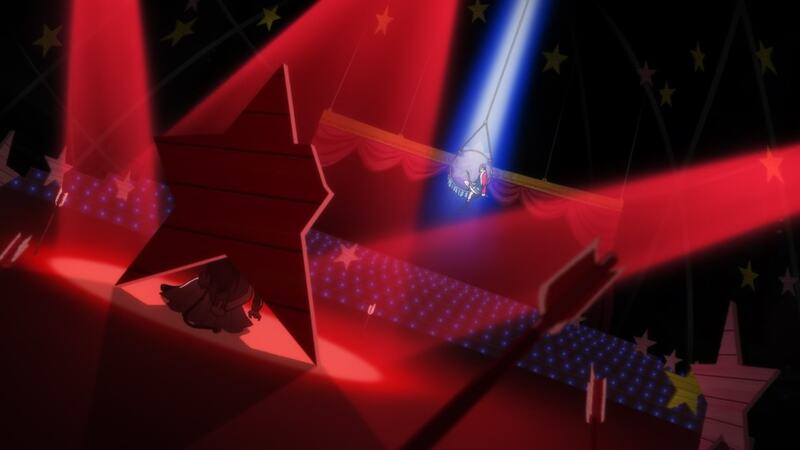 ─ I suppose it’s worth reintroducing Revue Starlight for those who missed our season preview since the project is curious enough to deserve it. At a time where mixed media properties are kinda flavorless attempts to ride trends exploiting as many sources of revenue as possible, this immediately stands out for its genuine commitment. Sure, it’s true that entertainment industry mammoth Bushiroad is in it for the money, and since it’s 2018, we’ll also be getting a phone game alongside more traditional extras like manga spin-offs. 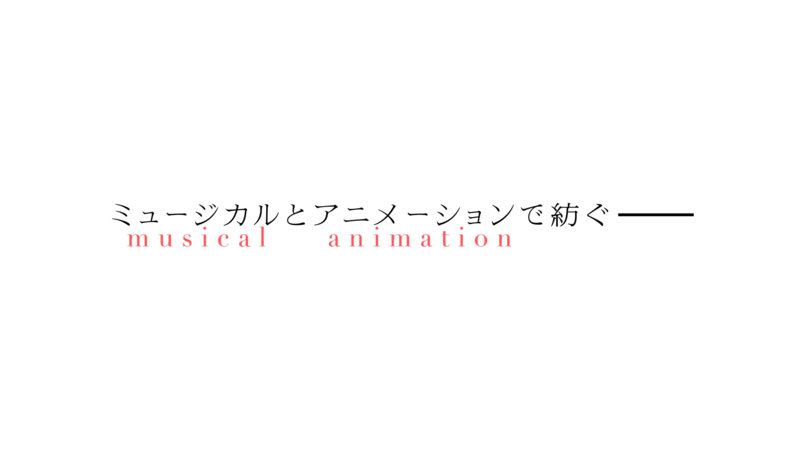 But the pillars of the project are clear: musical and animation. 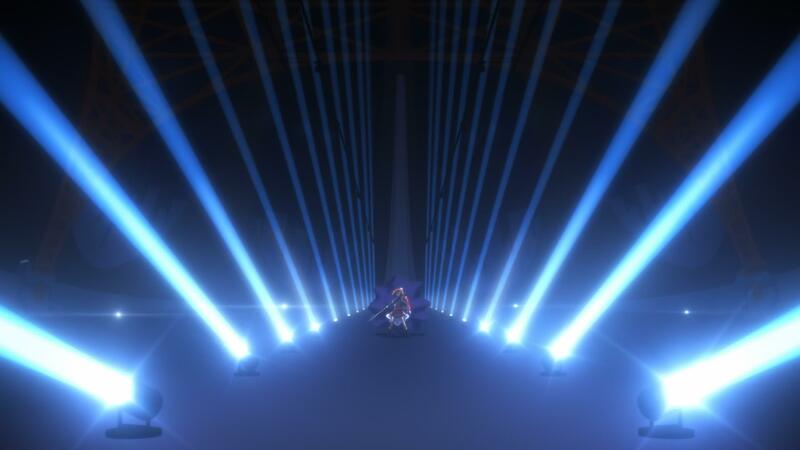 The Takarazuka tradition dyes the musical aspect from the get-go – the Revue in the title isn’t just for show – and the choices made regarding the animation are similarly inspired. This whole ordeal was revealed via a fantastic trailer 1.5 years ago, which was just as enticing as a trailer as the fact that Tomohiro Furukawa would be in charge of the anime. ─ Who is that Furukawa fellow who’d get viewers so excited? If you had asked a few years ago, the answer would have been a fairly impressive action animator. 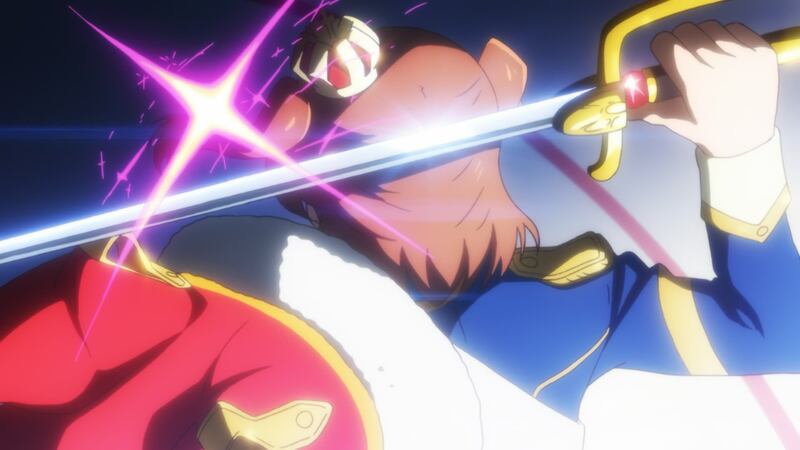 Ever since Penguindrum, though, his name has carried more weight. Before that show, he’d never even drawn a storyboard, but Kunihiro Ikuhara sensed something in him. 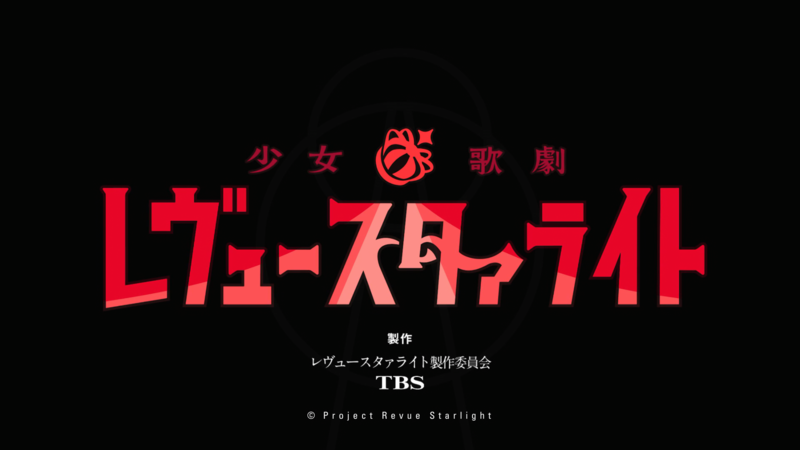 Furukawa ended up co-storyboarding the openings and up to 6 episodes in the second half, alongside some other rising stars like Shouko Nakamura, Mitsue Yamazaki, and Katsunori Shibata. All of them turned out to be exceptional creators in their own right (it’s time for my mandatory recommendation of Nakamura’s Doukyuusei), with identities of their own that are still very much influenced by their mentor; it lives on in Yamazaki’s framing and Nakamura’s thematic and design sense for example, even if the both of them have followed very different paths in the end. ─ Although Ikuhara’s style is of course not a miracle conjured from nothingness – it initially came down to his real-life theatrical inspirations plus endless Osamu Dezaki-isms filtered through Shigeyasu Yamauchi‘s lens and some Junichi Sato comedy – he’s always had this much of an inspiring effect on the youngsters who work under him. And, in modern times, no one has absorbed his precepts better than Furukawa, who’s actually become integral to Ikuhara’s working process. 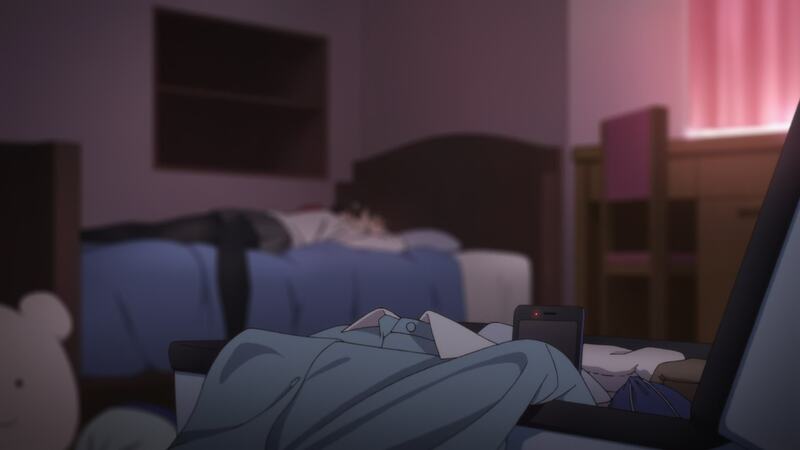 He assisted him on every one of his new projects, from minor stuff like his ending sequences on Kokoro Connect, BROTHERS CONFLICT, and NORN9, to acting as co-series director on Yurikuma Arashi. 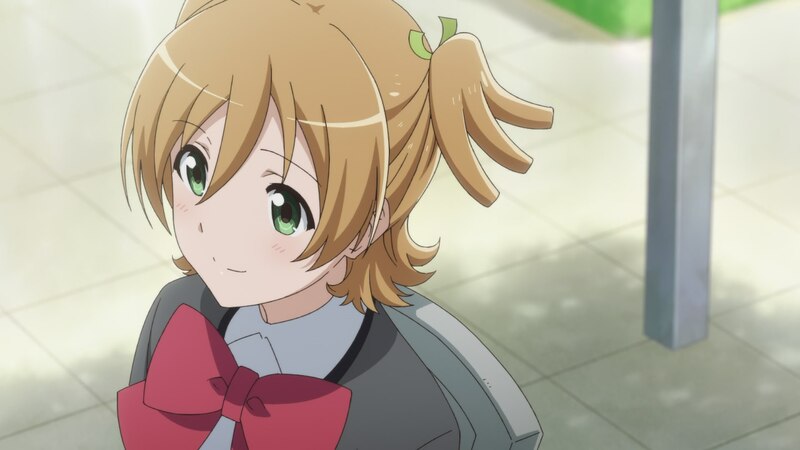 There’s a tendency to consider artists with a style reminiscent of Ikuhara’s to be “borrowing” those quirks, with ensuing debates over whether that’s justified or not, but that’s hardly fair when it comes to someone essential to Ikuhara’s needs at the moment. 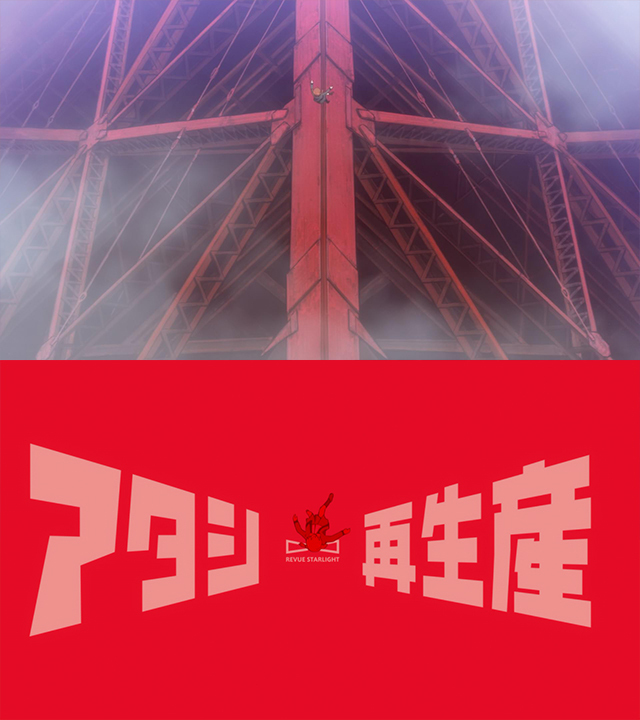 Which is to say, hopefully the timing of both projects doesn’t prevent Furukawa from working on Sarazanmai next year! ─ That’s enough backstory for now though, so let’s tackle Revue Starlight itself. 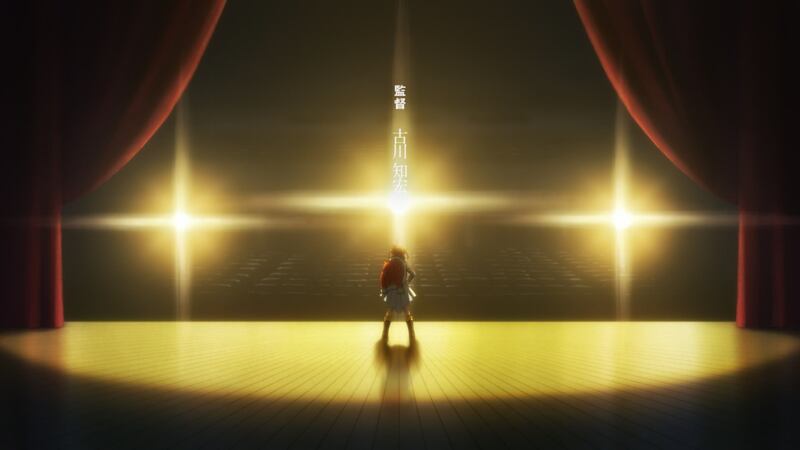 This is the tale of 9 girls competing in the context of a stage play, which is a tailor-made prospect for one of the new leading voices in the tide of theatrically inspired anime creators. This is shown right off the bat with the charismatic intro, but the first point that truly stood out to me was its cheerful daily life moments, which makes the general reaction to write all that off as a lesser prelude to the real deal a bit sad. Chances are that it won’t change your mind entirely if you’re allergic to lighthearted school series, but it’s damn excellent at that. 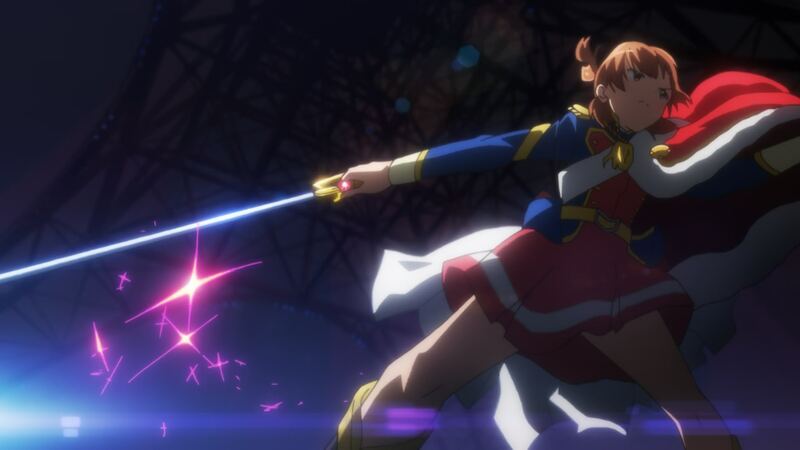 While comparisons have been drawn with Love Live, it was Land of the Lustrous that first came to mind – though it’s actually for a similar reason: Takahiko Kyougoku’s playfulness is reminiscent of the spirited direction in the first episode of Revue Starlight. There’s a real sense of musicality to it all, best exemplified in the fantastic scene where all characters are introduced; the way the BGM switches according to which character dominates the screen is wonderful, getting to the point of feeling like a conversation in and of itself at certain points. Of course the bombastic moments are going to get a lot of attention, but it’s worth noting that everything that everything that led up to it was also excellent. 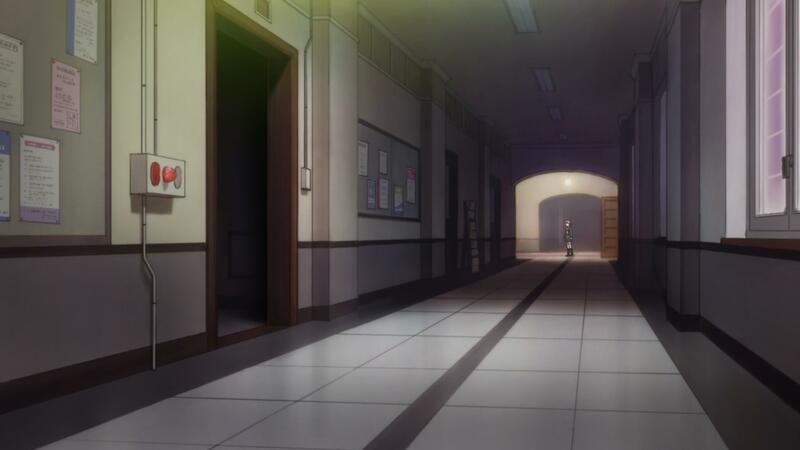 ─ And speaking of outstanding work that may or may not receive the appreciation it needs: the layout work in this episode was incredible as a viewer and likely taxing for both animators and background artists. 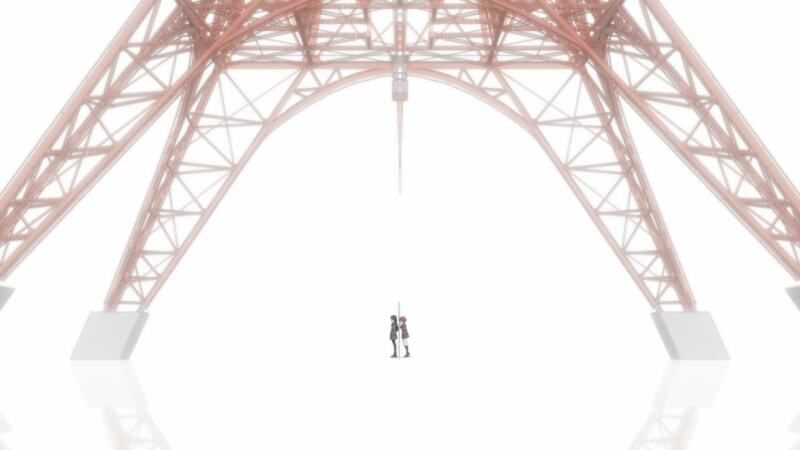 Furukawa keeps conceptualizing spacious shots that are nonetheless very precisely set up, so even the most minor of moments can require pulling off tricky angles. The fact that he thinks as an animator, unlike his mentor Ikuhara whose visual ideas are more static in nature, leads to entire sequences playing off movement within those three-dimensional spaces. Eye-catching for the viewers, but not so fun for the people drawing them – hence the bits of roughness here and there. 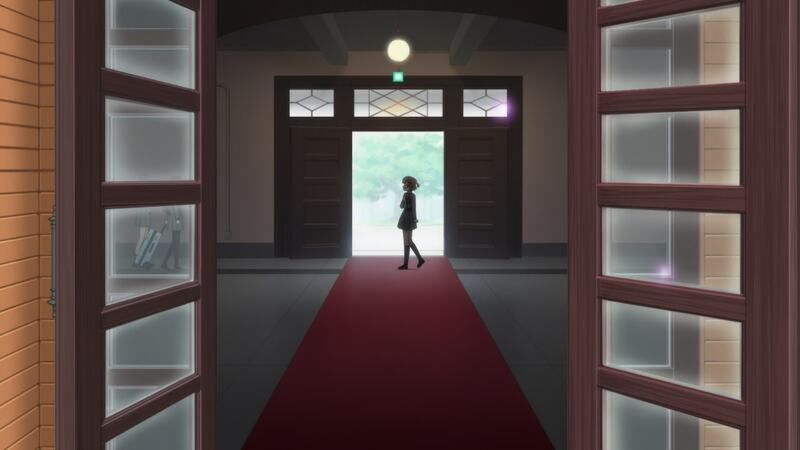 Furukawa will be storyboarding the first three episodes for sure, but at least the team knows they might have a chance to take it easier later since it’s been confirmed that other directors will be contributing as well. We know for a fact that Gainax’s last pillar Shouji Saeki has drawn storyboards, and I would expect the Made in Abyss assistant duo Hitoshi Haga & Shinya Iino to handle some episodes too. We’ll see how much of this identity the show retains! ─ Those striking layouts aren’t the only important aspect derived from Furukawa’s storyboards, though. The main theme in his work this time around is symmetry. 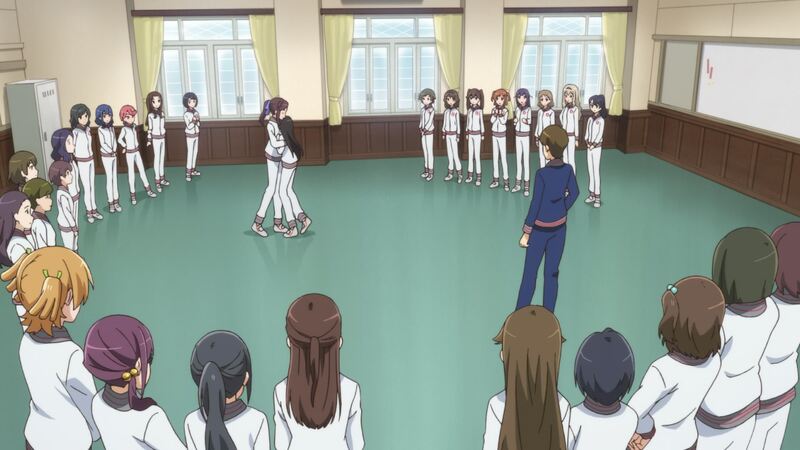 It’s all over the episode, which also constantly places protagonist Karen in the center – very clearly representing position zero, that lead spot the girls are competing with, which Emily has elegantly written about. 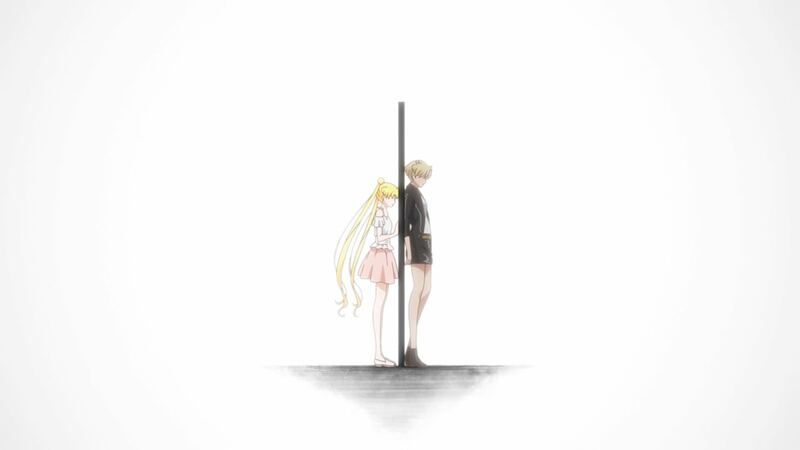 This is even present in the scene meant to capture a world with only the main two characters (don’t you think I’ll forget about your wonderful Sailor Moon episode, Furukawa), whether that will have precise implications or not. The dream sequence that heavily foreshadows some big developments makes heavy use of this idea too, which quickly established it as one of the truly important points. 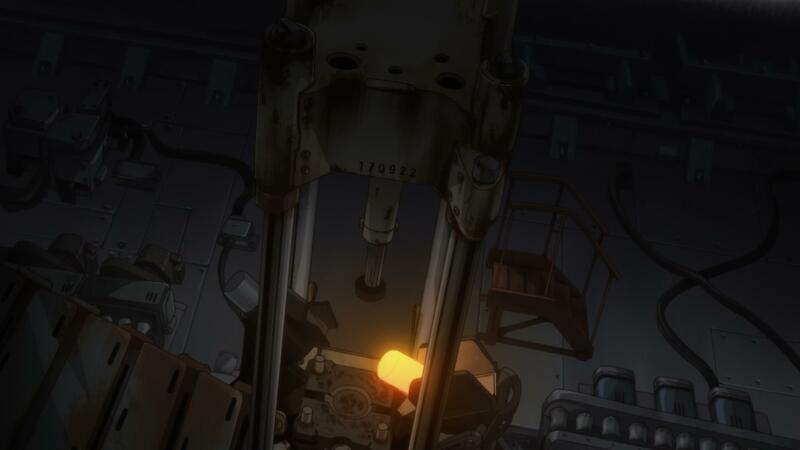 And by the way, very neat literal interpretation of the cogs of fate turning plus sweet effects by Kaito Shimizu, who’ll act as one of the main animators in the show. ─ Since I brought that up already, let’s move onto some more animation-specific talk that’s quite relevant to the latter parts of the episode. The amusing elevator scene – key animated by Fumiaki Kouta, a good acquaintance of Furukawa – leads to the most grandiose scenes in the series so far. 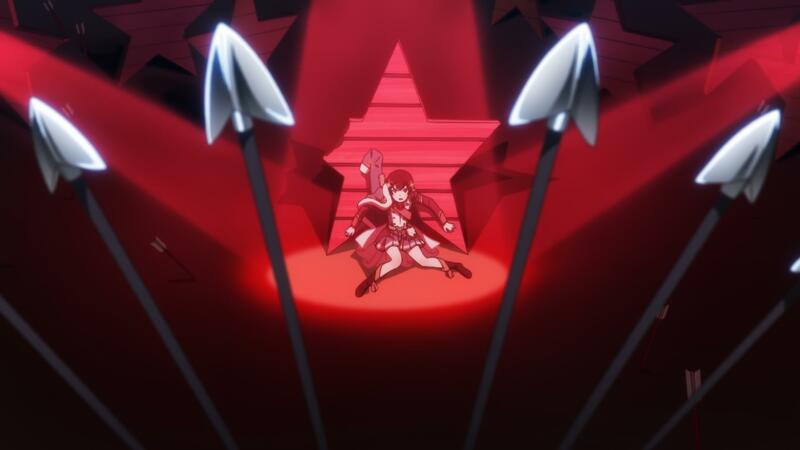 A thrilling, monumental fight between two girls meant as an allegory (or is it?) for their competition to be on-stage and the sacrifices this kind of life forces them to make. And a giraffe. The memorable result was achieved in no small part thanks to Takushi Koide, the final key figure in this production that I had to talk about no matter what. 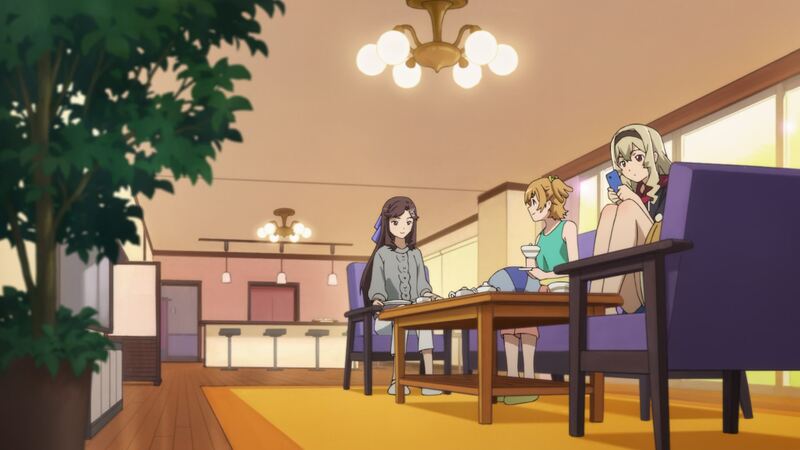 Summarizing his career is easy, but it’s precisely because of that that it’s so impressive; Koide is still a young key animator who only recently caught attention with his work on Scorching Ping Pong Girls. The next thing we know, he’s acting as the assistant series director on this show, while also designing everyone’s weapons and the revue itself. He’s the ace animator for the show on top of all that, even playing a more important role in this regard than the three people officially credited as main animators. He’s been focusing on this show for quite a while, so we’re about to see what one of the most promising individuals in the industry is capable of. It seems like it’s not just aesthetics and themes that Furukawa has inherited from Ikuhara – the trust in youngsters has also passed on. 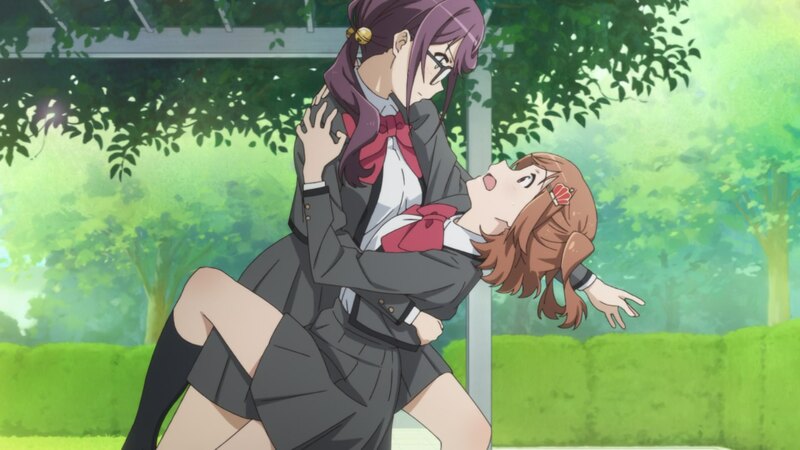 ─ Koide carried the sakuga bulk by animating the more dynamic part of Hikari versus Junna’s fight, as well as every single cut after Karen bursts onto the stage. Vibrant as ever, and gosh that reversal, but the minor thing that weirdly got me thinking was the tendency to associate Karen with cross sparks similar to Hikari’s hairpin. 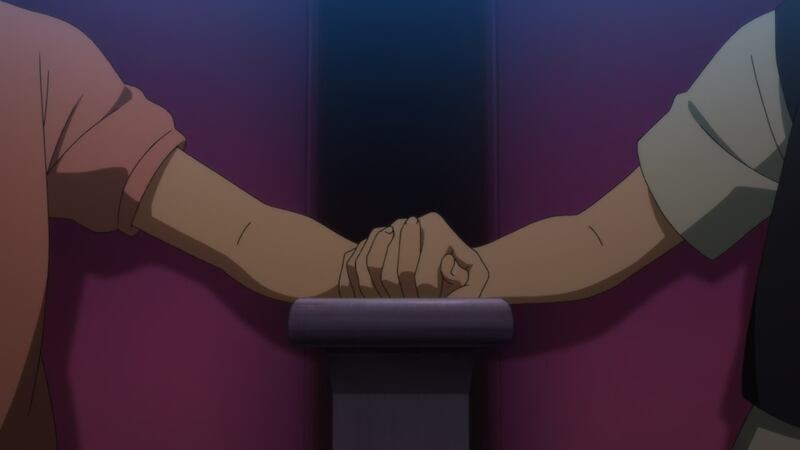 This has been going on ever since the first teaser and doesn’t correspond to the way Koide naturally draws effects, so it feels like a very deliberate detail. 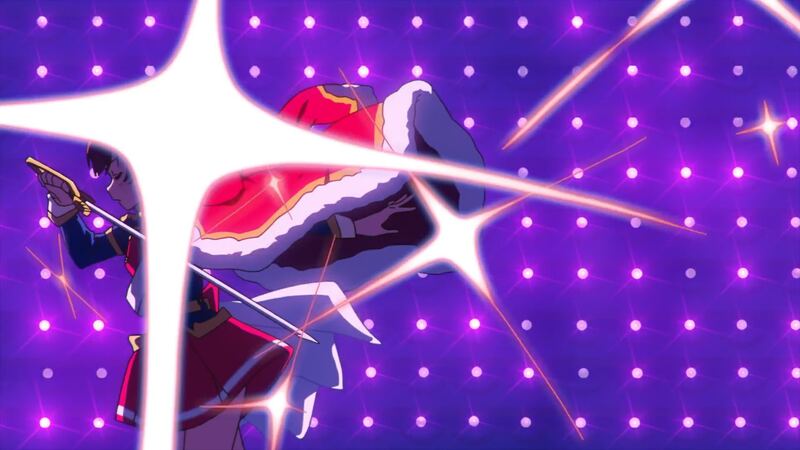 At the exact opposite end of subtlety we find the gorgeous transformation sequence, with very clear shades of Penguindrum with all the machinery – supervised by mechanical animation specialist Takeshi Takakura, and with a nice nod to the musical side of the project by including its date. Truth be told we still don’t quite know how much stock footage we’ll be seeing, other than the fact that it’ll be a lot since we’re dealing with creators who value the power of repetition. The stock footage section of the credits seems to list way more people than there were involved for this part (even if some weren’t named) so get ready for a similar spectacle every week. 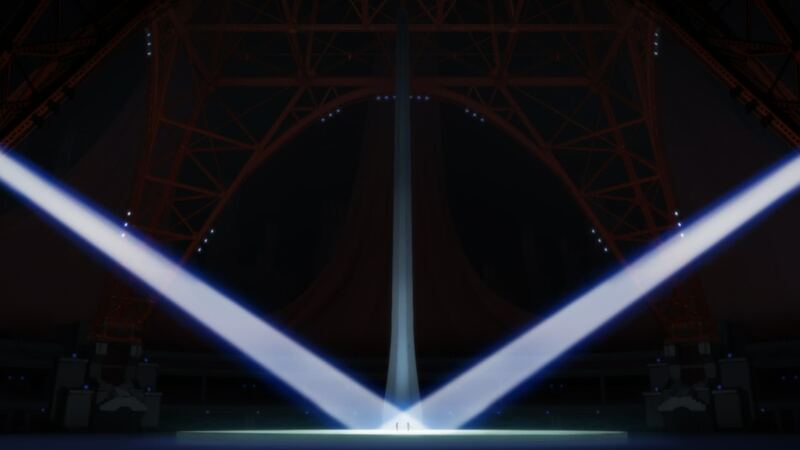 ─ There are even more things I’d love to talk about, but since we’ll be covering this show with weekly posts as long as each episode stays this substantial, there’s no need to make this unreadably long. Needless to say, I absolutely adored this first episode, to the point of considering it one of the strongest premieres in modern times. Is it perfect then? I wouldn’t say so, and to a degree I echo the complaints about the character designs that I’ve been seeing. Though there’s some value in the contrast between standard, cute designs being thrown into this fantasy battle royale of a stage play, taking a more refined and perhaps shoujo-esque turn would have been great. We’re talking about a show so fully committed to its conceit that even the logo features stage curtains, so dropping the ball on an aspect so many viewers focus on seems a bit unfortunate. Being a bit bland isn’t a crime though, and I’ve got to admire having a girl nicknamed Banana with banana-shaped hair. Plus there’s a dedicated giraffe designer, which is so important he’s listed between the character designer and main animators. You know what, I take it all back. This is genius design mentality. See you next week! 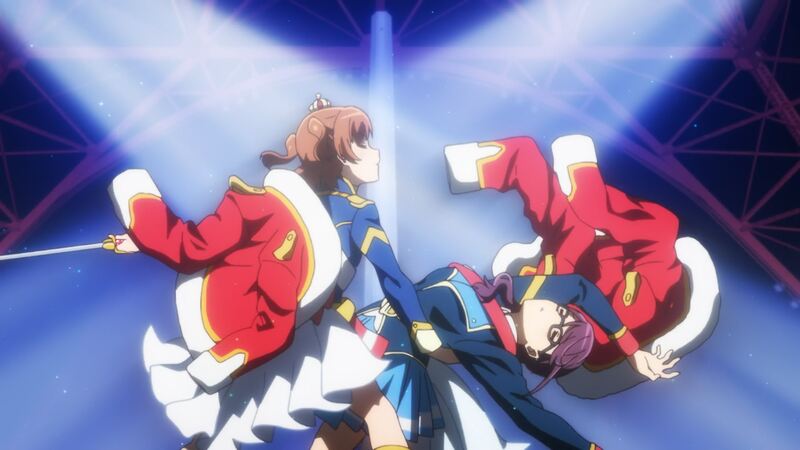 Studio Culture In The Anime Industry – The Curious Story Of Free! And High Speed! About the character designs, I kind of wished the committee hired an infamous shoujo manga-ka to provide the original character designs to really give this project majesty and ornate look. Like Arina Tanemura or someone else. Though I don’t know if they will agree to design a bunch of girls who’ll end up being les yay with each other. That would be great, but I don’t even think that big of an effort was needed. They’ve got people in the team who could have drawn something with more glamour that fit the overall aesthetic better. If this is the biggest compromise for marketability the project had to make though, I definitely won’t complain. Fair enough, though as a Precure fan you’ll understand if I say that even something along the lines of Inagami’s Futari wa designs would have been excellent. Just that bit of added badassery. 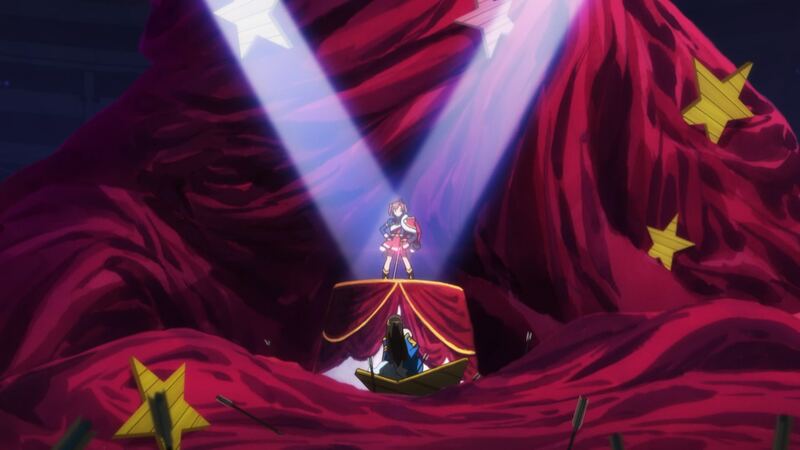 My only real complaint is that for show centered around music, the music is kinda boring nothing as memorable as Zettai Unmei Mokushiroku certainly. 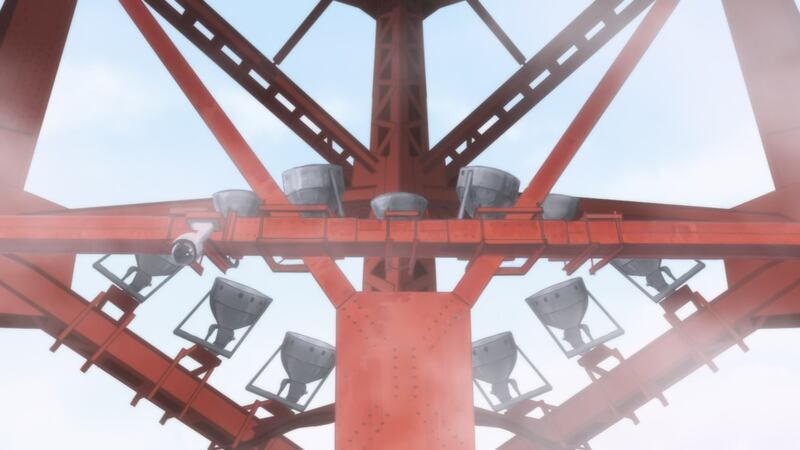 Also, the backgrounds are kinda weak for studio Pablo and and I don’t think the show will have thematic ambition that Ikuhara but that’s not all that relevant. Well the songs were like background music in this episode more than anything, and they only sounded for a few seconds, I hope that in other episodes they focus more on the songs and can be heard more.. I was going to mention the fairly mild backgrounds as well, but in the end decided to give them some more time to showcase a few more settings (plus I’ll be here all season so no need to address everything immediately!). For now I’d agree though – excellent design work, in the Revue in particular, but the execution of those ideas isn’t up there with Pablo’s best. I loved the fight sequence, particularly the cut where we were focused on the feet; there was a movement and mobility emphasis I feel on the fight scene in a similar way to Sword of the Stranger. Even if the styles are understandably different, I’d say that’s a valid comparison. Koide’s action flow is so mesmerizing that I’m really glad his duties are very specifically geared towards this part of the show. 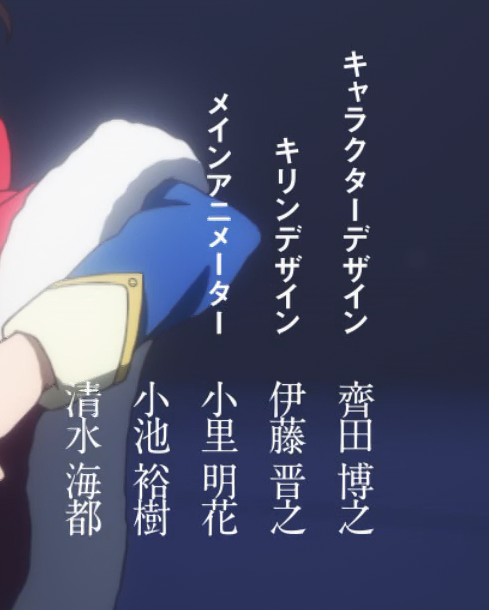 He was even chosen to storyboard the fighting bits of the OP, so this really is his domain. The second episode of Banana Fish hooked me in with that as well! The recurring cage framing coupled with the allusions to flight in that scene and the hospital one in particular was great – blunt as all hell, but it left quite the impression. 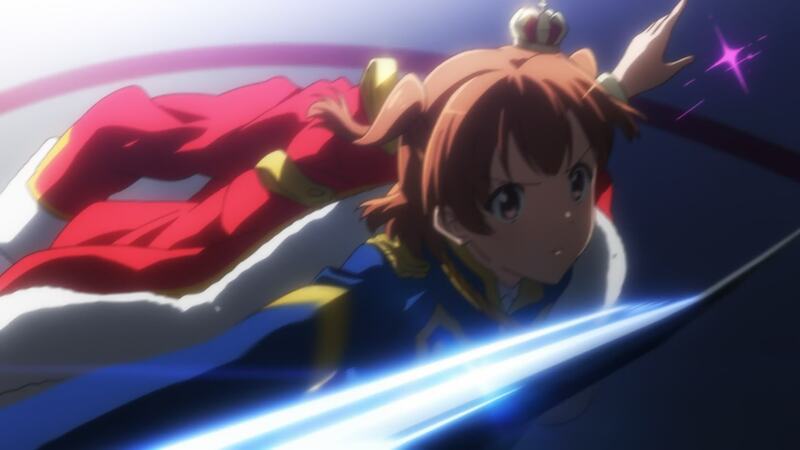 It’s a shame that we can’t have Utsumi storyboarding the entire series because I never get tired of this.